Successfully Added 2 DIN Car MP5 Player - 7 Inch Display, 1080P, Bluetooth, 800 x 480 RGB to your Shopping Cart. 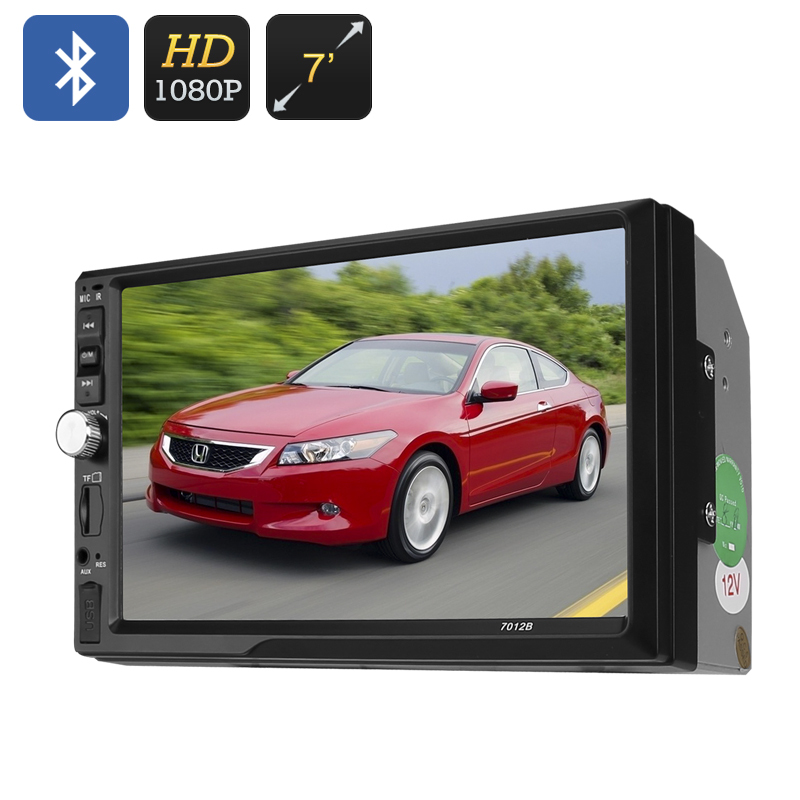 This 2 DIN car MP5 Player comes with a 12 months warranty, brought to you by the leader in electronic devices as well as wholesale car entertainment systems..
Arabic: - 2 من لاعب MP5 سيارة بلوتوث - Chinese Simplified: - 2 从蓝牙车载 MP5 播放器 - Czech: - 2 z Bluetooth auto MP5 přehrávače - Dutch: - 2 van Bluetooth auto MP5 speler - French: - 2 de voiture Bluetooth lecteur MP5 - German: - 2 von Bluetooth Auto MP5 Player - Hebrew: - 2 מנגן MP5 Bluetooth לרכב - Hindi: - 2 ब्लूटूथ कार एमपी-5 खिलाड़ी से - Hungarian: - 2 a Bluetooth autó MP5-lejátszó - Italian: - 2 dal Bluetooth Lettore MP5 - Japanese: - 2 ブルートゥース車 MP5 プレーヤーから - Korean: - 2 블루투스 자동차 MP5 플레이어에서 - Malay: - 2 daripada kereta Bluetooth MP5 Player - Norwegian Bokmål: - 2 fra Bluetooth bil MP5 spiller - Romanian: - 2 DIN Bluetooth Car MP5 Player - Russian: - 2 от автомобиля Bluetooth MP5 игрок - Spanish: - 2 de Bluetooth Reproductor MP5 - Thai: - 2 จากรถ Bluetooth เครื่องเล่น MP5 - Turkish: - Bluetooth araba MP5 Player 2 - Vietnamese: - 2 từ xe hơi Bluetooth máy nghe nhạc MP5. Outstanding value for money, I am really pleased with it. Exelente ¡¡¡ ... El pedido llego muy rapido y el producto a satisfaccion.